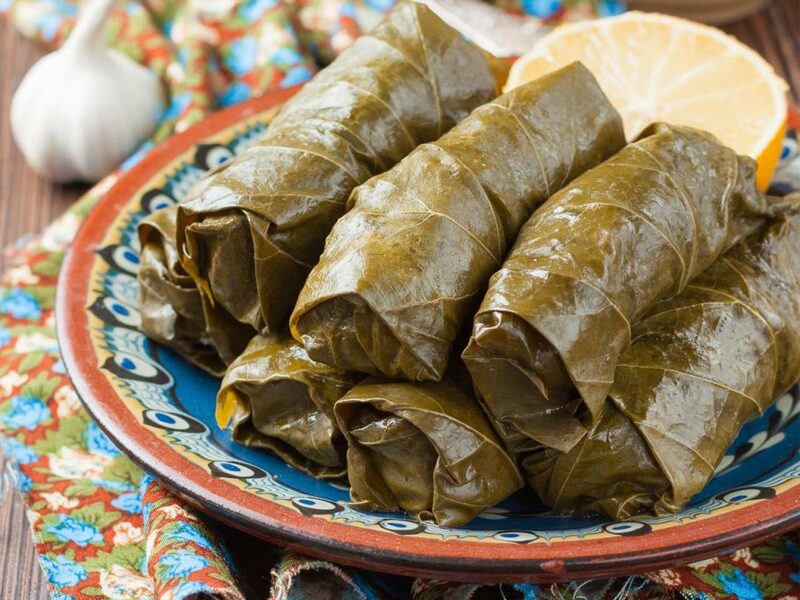 A great appetizer made from tender vine leaves wrapped into little rolls and stuffed with rice/meat and fresh herbs. 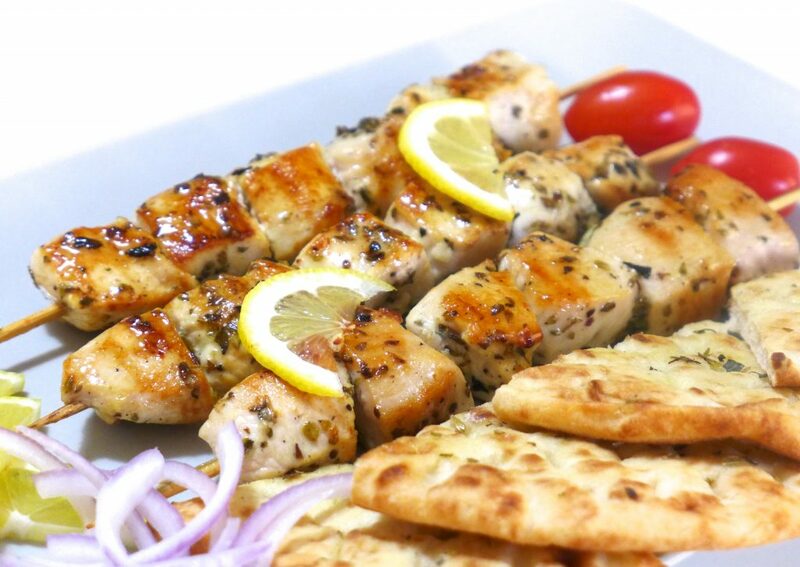 Definately worth trying. 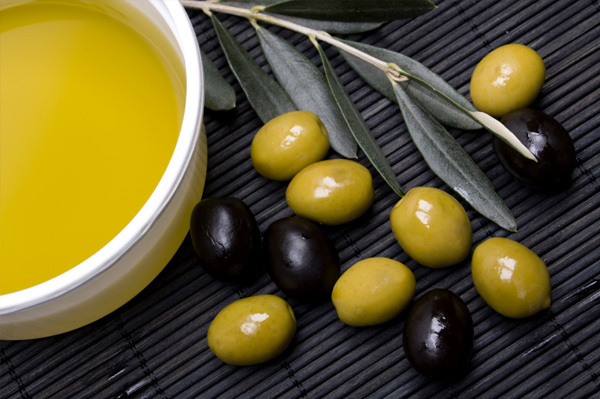 In Greece (Krete) you will find one of the best olives products in the world. Moussaka is an eggplant or potato-based dish, often including ground meat, in the Levant, Middle East, and Balkans, with many local and regional variations. 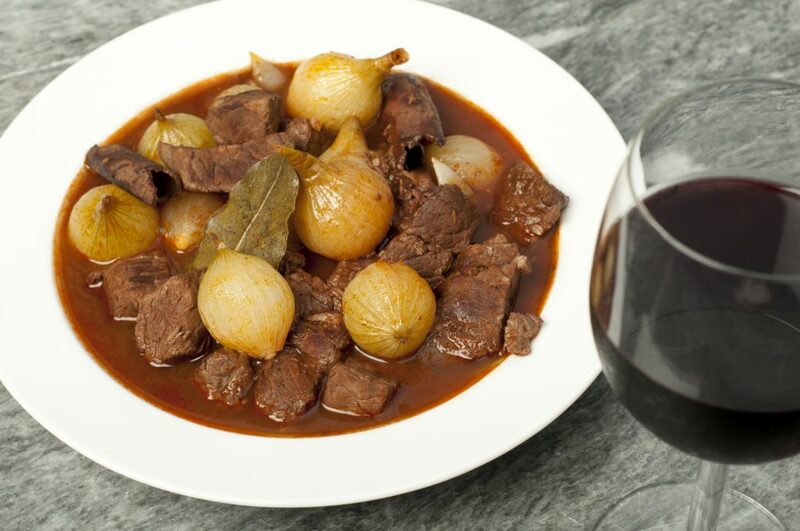 Beef but mostly rabbit or hare stew with pearl onions, vinegar, red wine and cinnamon. 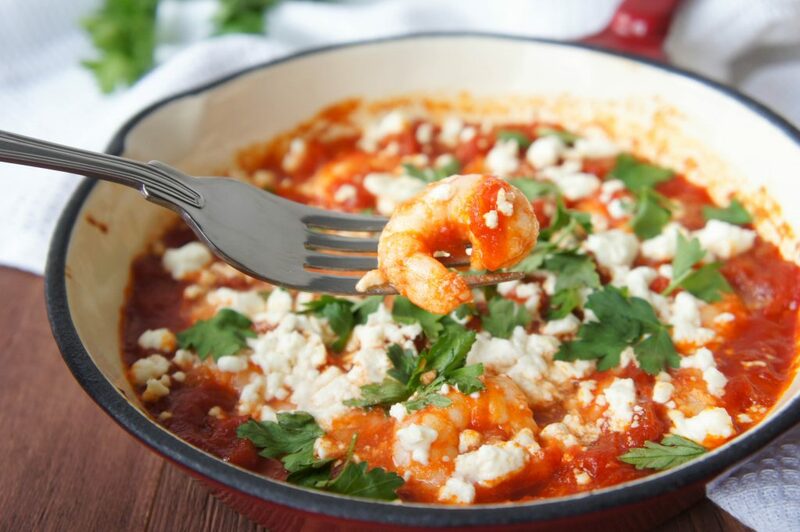 Dakos or ntakos or—in eastern Crete—kouloukopsomo (from koulouki + psomi, pup + bread, allegedly the bread given to puppies), is a Cretan meze consisting of a slice of soaked dried bread or barley rusk (paximadi) topped with chopped tomatoes and crumbled feta or mizithra cheese, and flavored with herbs such as dried oregano. 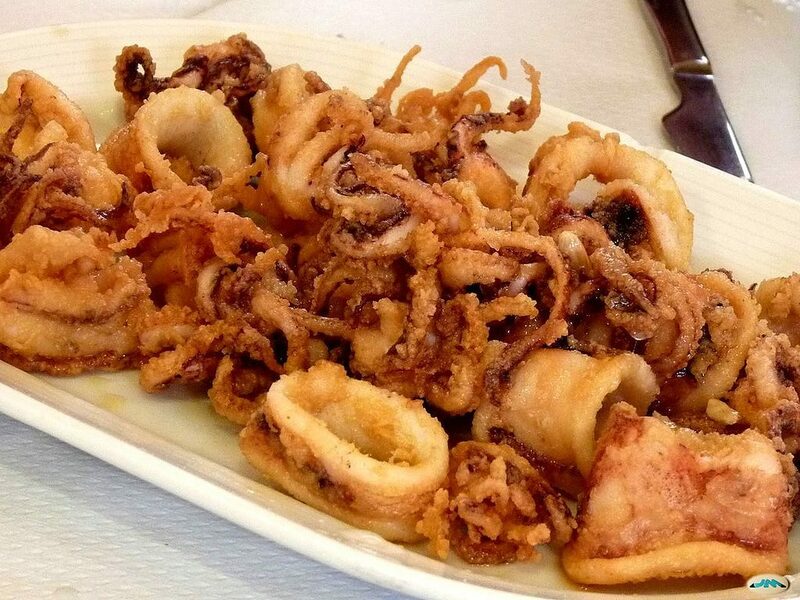 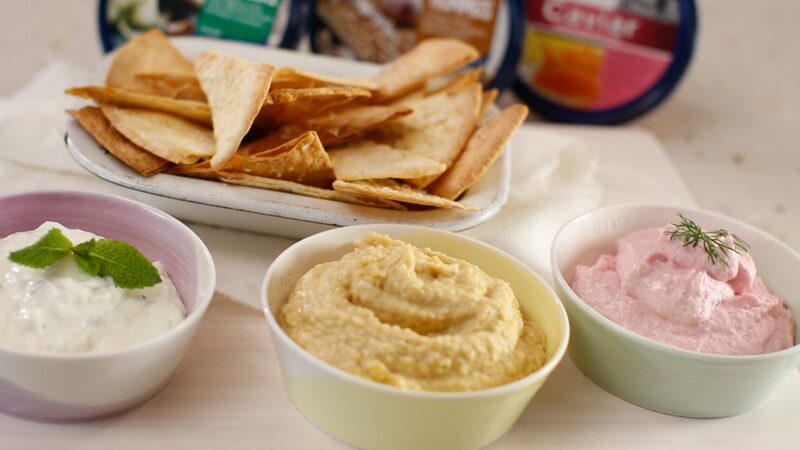 Gamopilafo is one of the most delicious dishes of the cuisine of Chania and of all Crete. 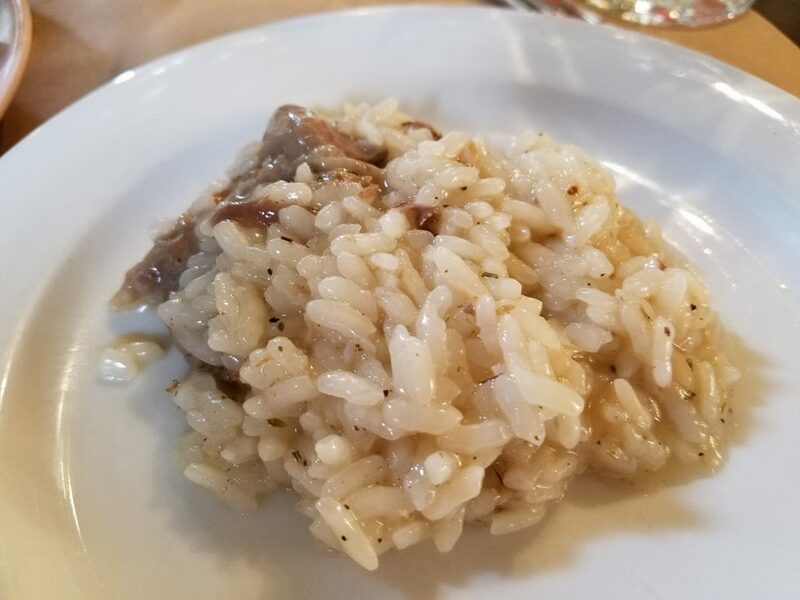 It combines rice and meat. 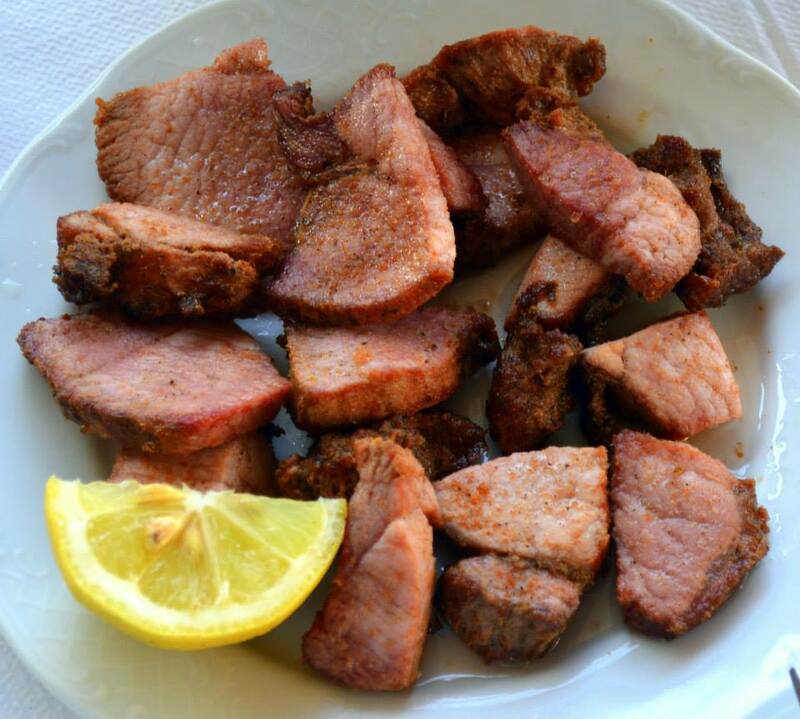 It got its name (gamos – marriage, pilafi – rice dish, pilaf) from the fact that meat did not use to be part of the daily ration, due to poverty, and it was one of the dishes served during festive events and more specifically on weddings. 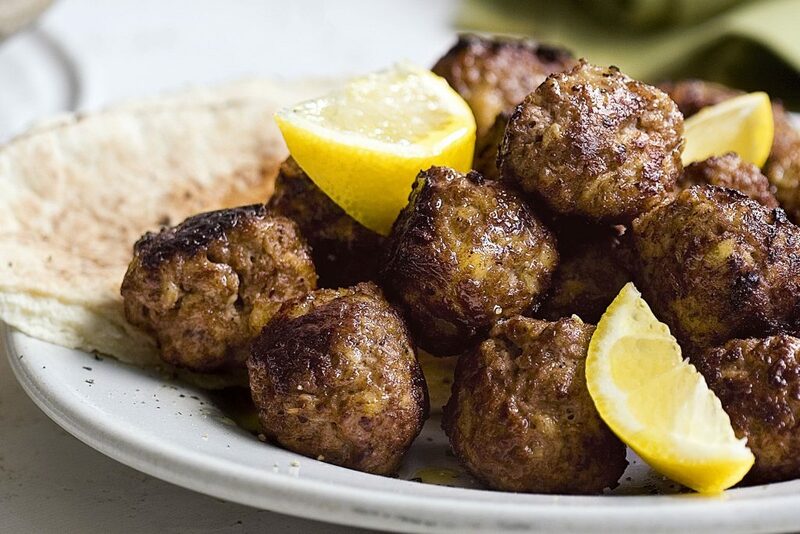 Stamnankáthi are herbs that have a bit bitter but pleasant taste. 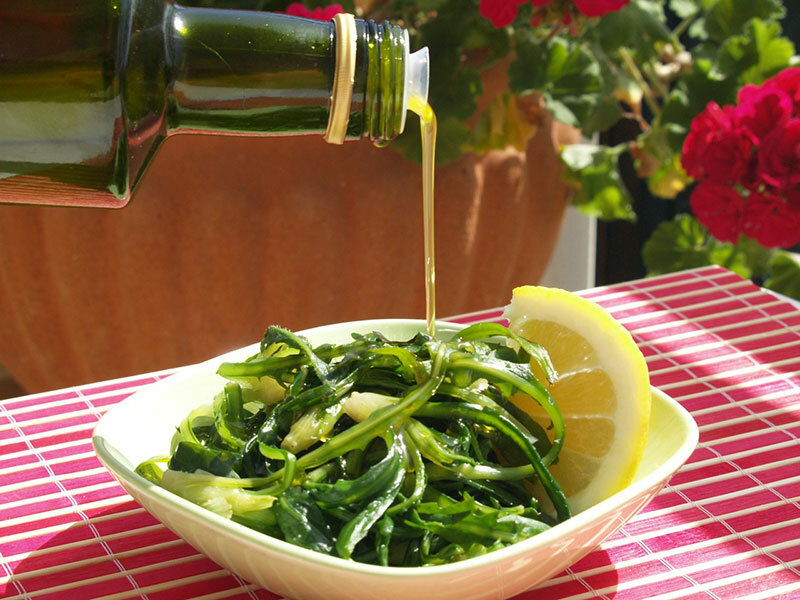 This plant grows only in Crete. 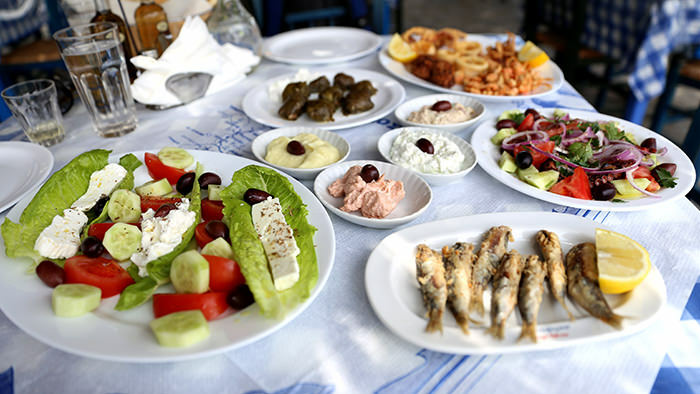 Tsikoudia or also commonly raki in the eastern part of Crete – is an alcoholic beverage, a fragrant, grape-based pomace brandy of Cretan origin that contains 40%–65% alcohol by volume. 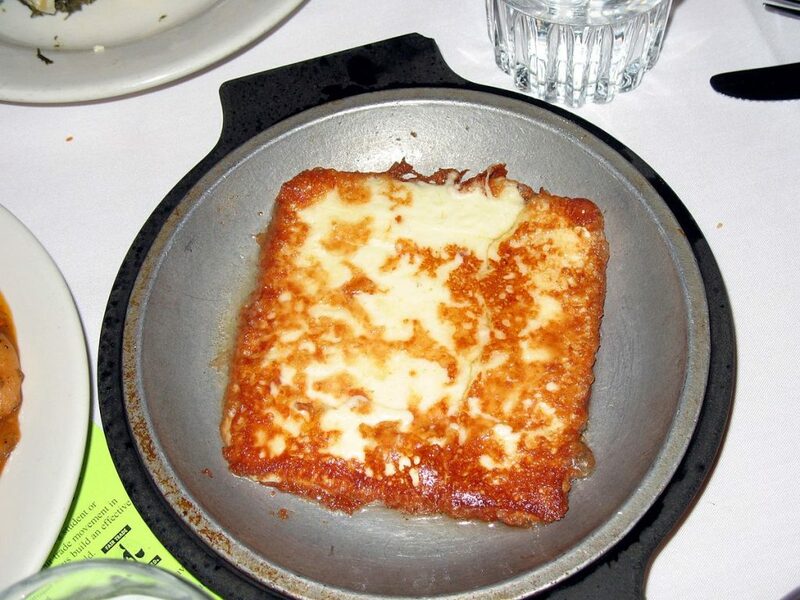 In Greek cuisine, saganaki (Greek σαγανάκι) is any one of a variety of dishes prepared in a small frying pan, the best-known being an appetizer of fried cheese. 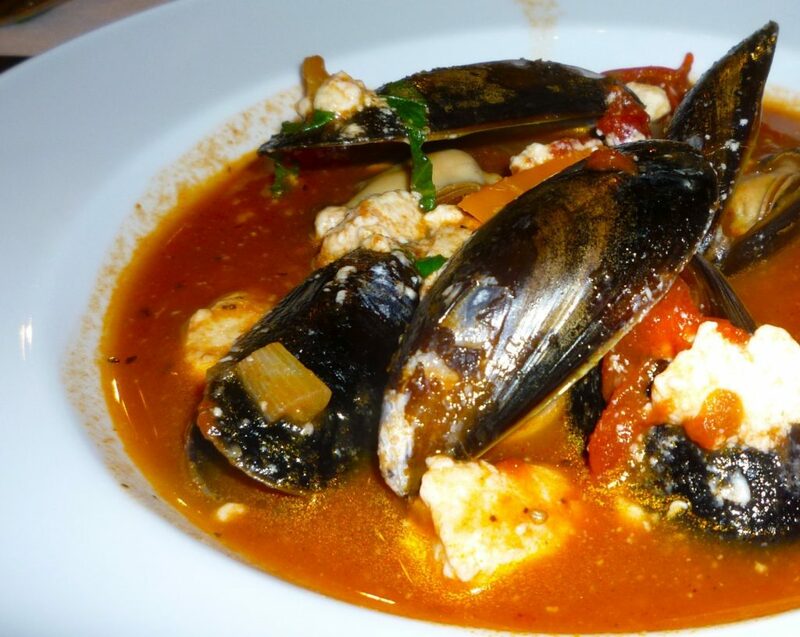 Other dishes cooked in a saganaki pan include shrimp saganaki and mussels saganaki, which are typically feta-based and include a spicy tomato sauce. 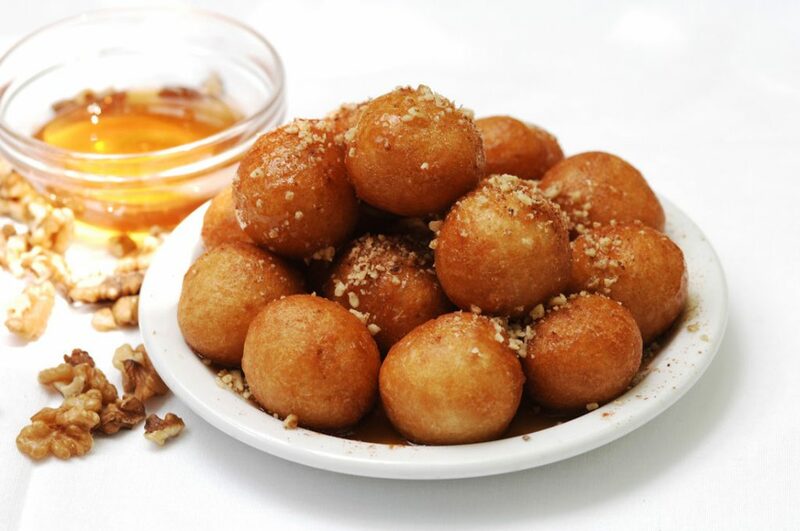 Lokma (Turkish), loukoumades (Greek), loukmades (Cypriot Greek), zalabyieh (Arabic), or bāmiyeh (Persian) are pastries made of deep fried dough soaked in syrup, chocolate sauce or honey, with cinnamon and sometimes sprinkled with sesame or grated walnuts. 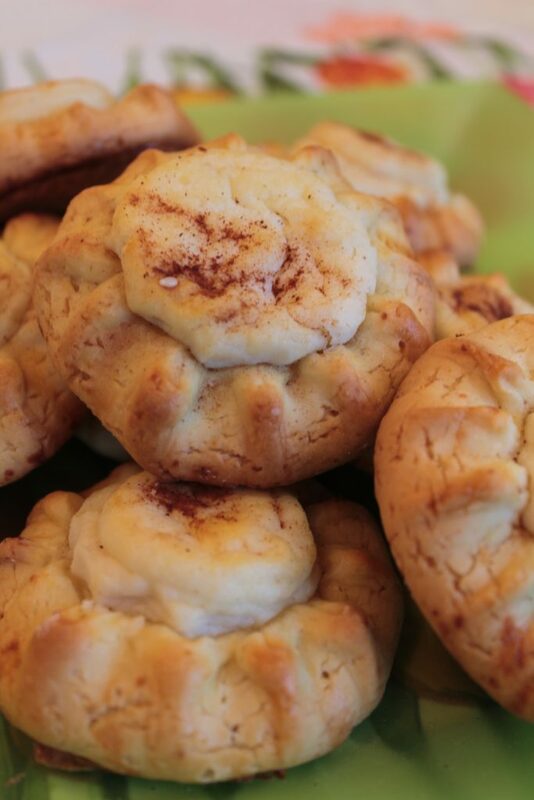 Kalitsounia are small cheese or herb pies. 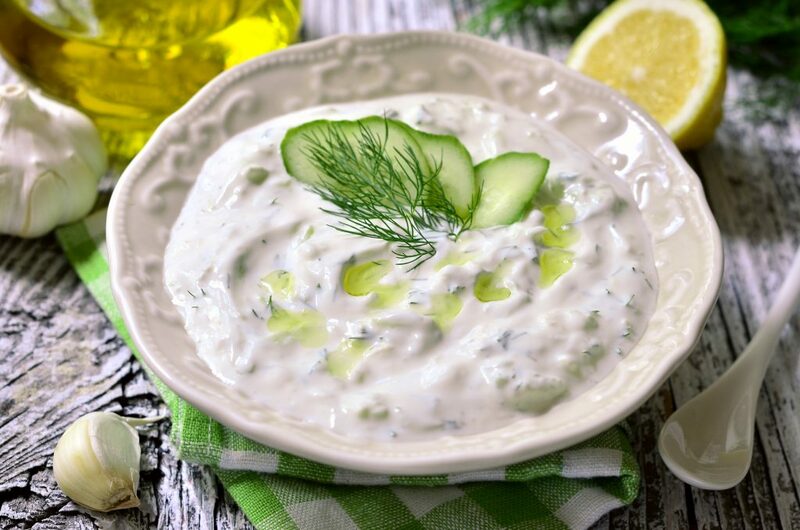 Crete is famous for its small cheese or herb pies, called kalitsounia. 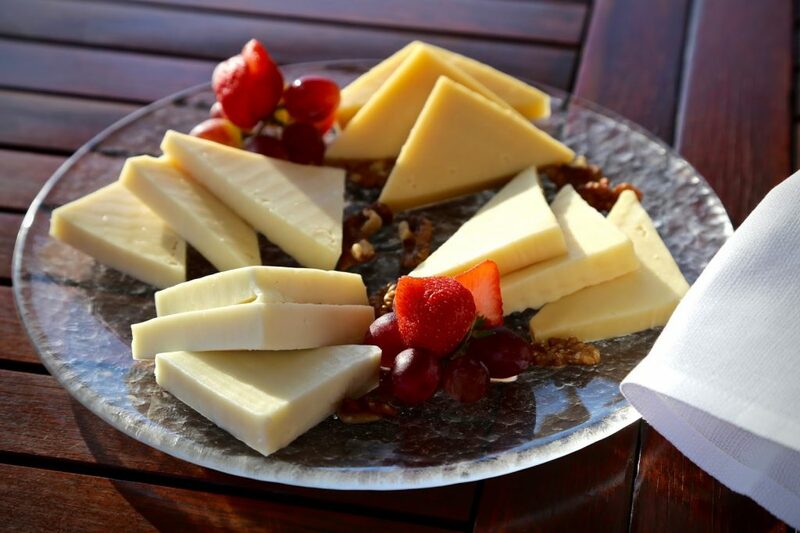 They resemble a common cheese or stuffed pie with the principal difference of its filling and serving variations. 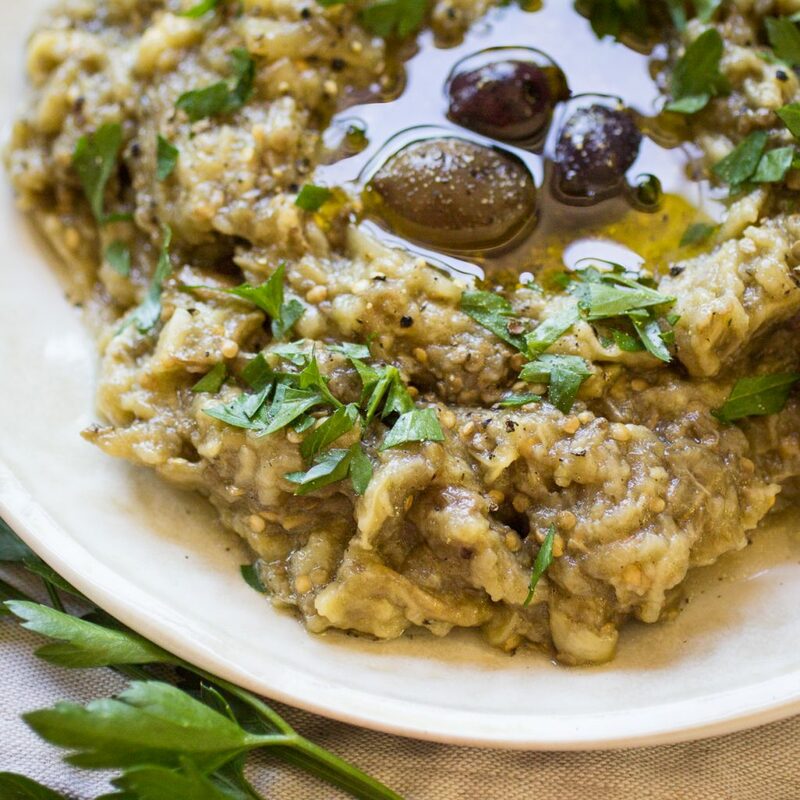 Snails are first fried with flour and hot olive oil in a pan, hence the name boubouristi, which is the popping sound you hear when the snails are fried. 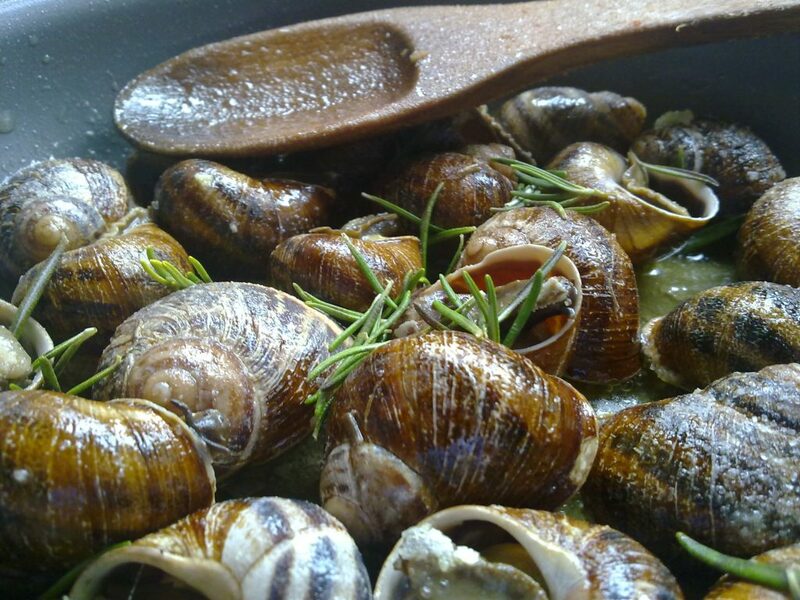 The next step involves dousing the snails with wine vinegar and rosemary. 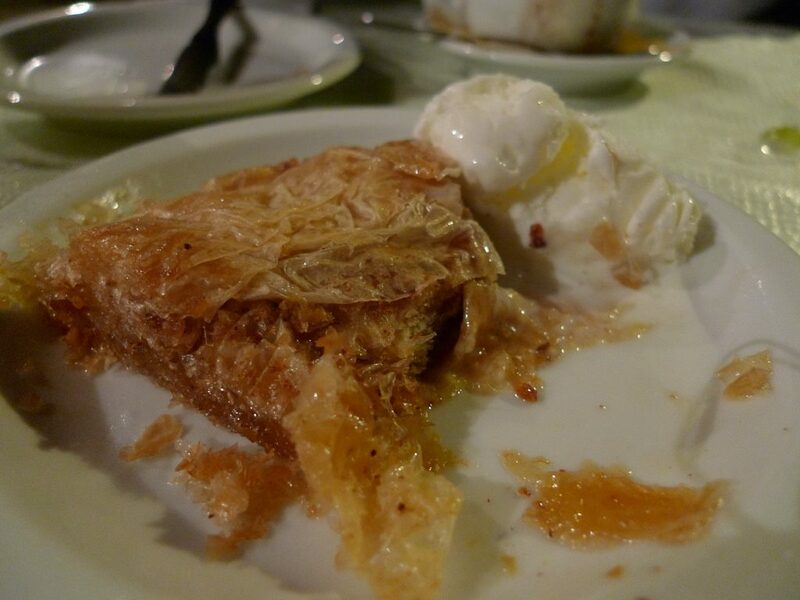 Baklava is layers and layers of pastry with gooey sweet honey and nuts in between the layers. 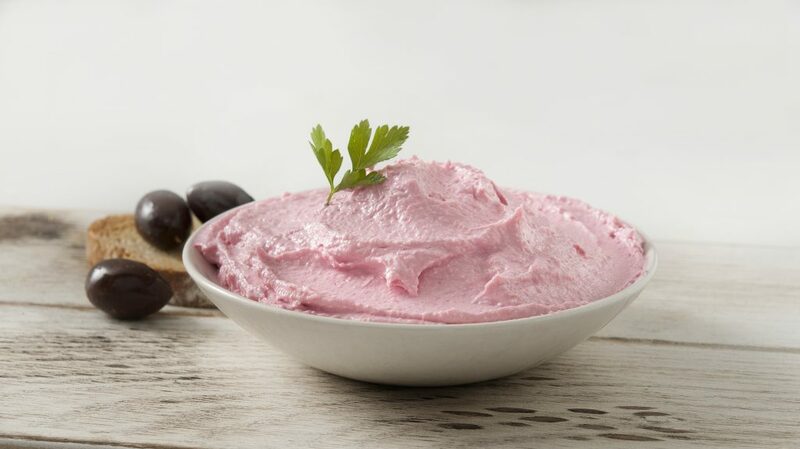 Also popular in Turkey, Georgia, Egypt and middle east. 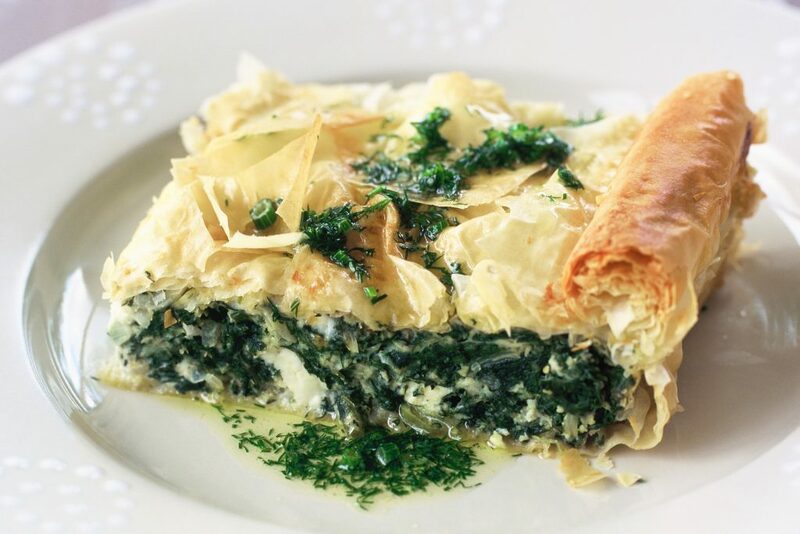 Spanakopita or spinach pie is a Greek savory pastry. 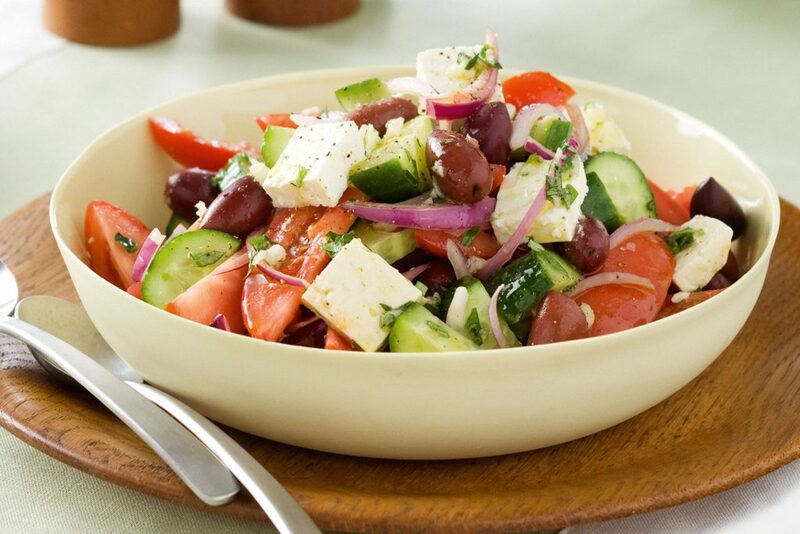 The traditional filling comprises chopped spinach, feta cheese, onions or scallions, egg, and seasoning. 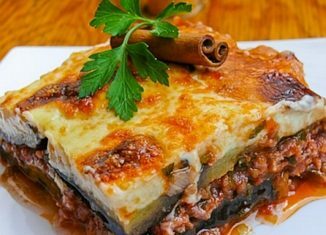 The filling is wrapped or layered in phyllo (filo) pastry with butter or olive oil, either in a large pan from which individual servings are cut, or rolled into individual triangular servings. 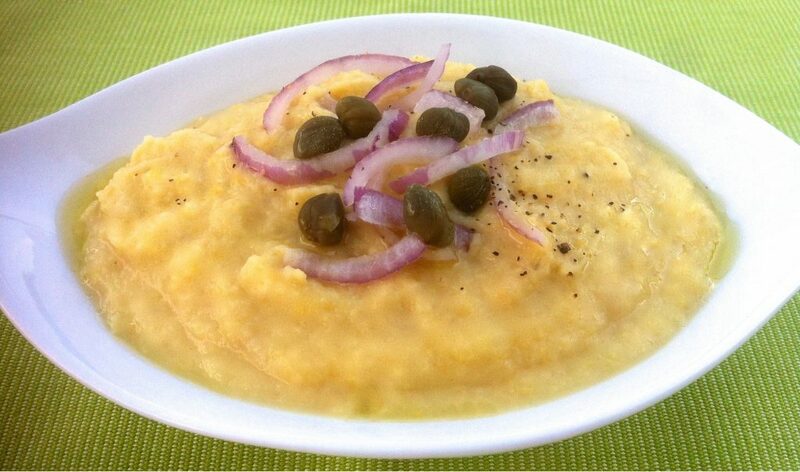 Sarikopitakia is one of the island’s most iconic dishes and takes its name from the scarf worn by local men on the island. 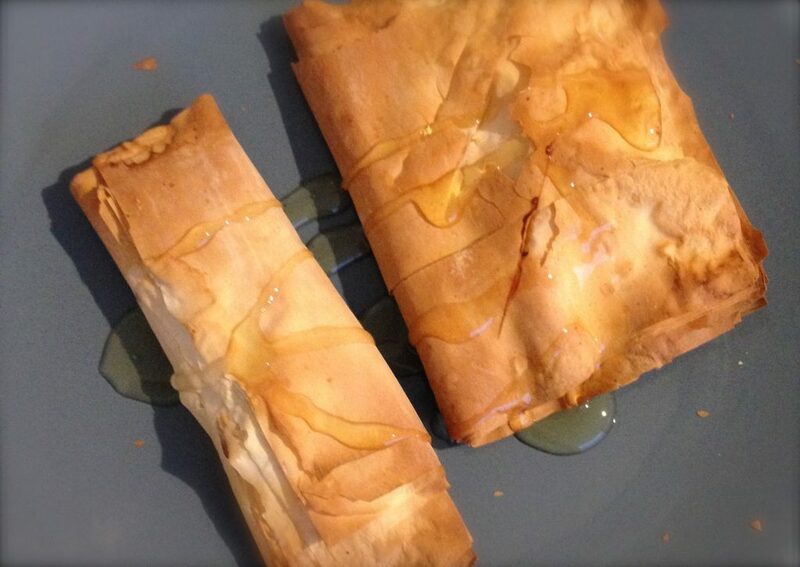 Sarikopitakia consists of delicately fried pastry parcels filled with sheep’s cheese. 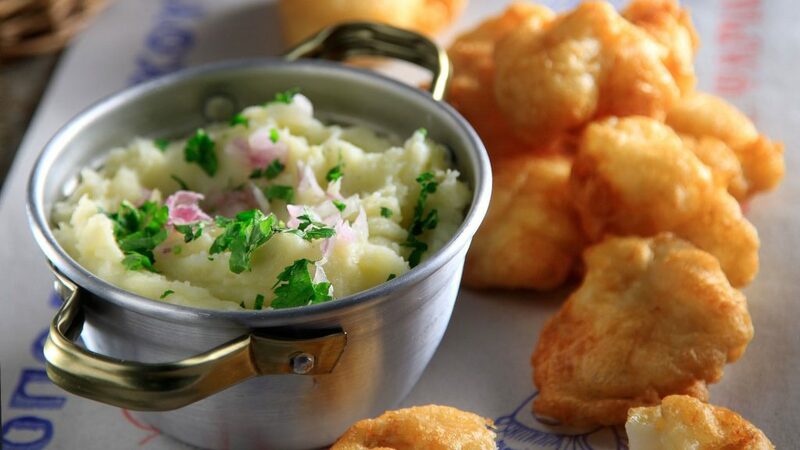 The dish is usually served as a starter and comes with sea-salt and a choice of fresh dip. 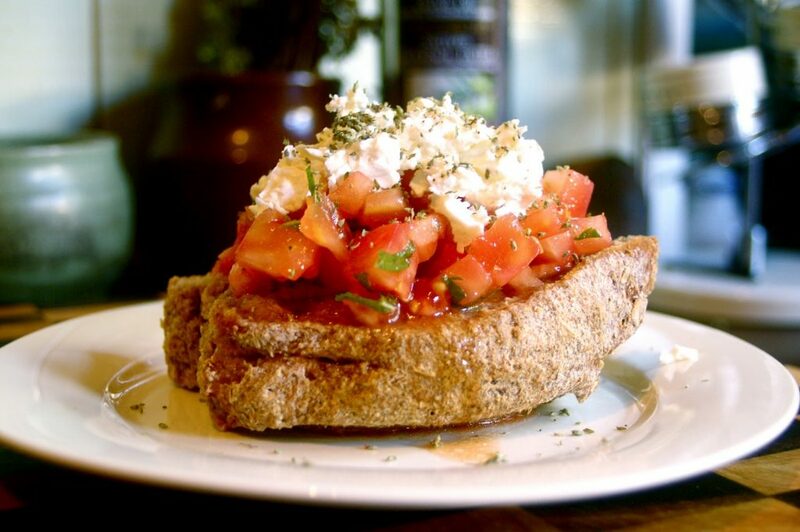 Paximathia, also spelt paximadhia and paximadia, is a hard bread of Greek origin that is prepared with whole wheat, chick pea or barley flour. 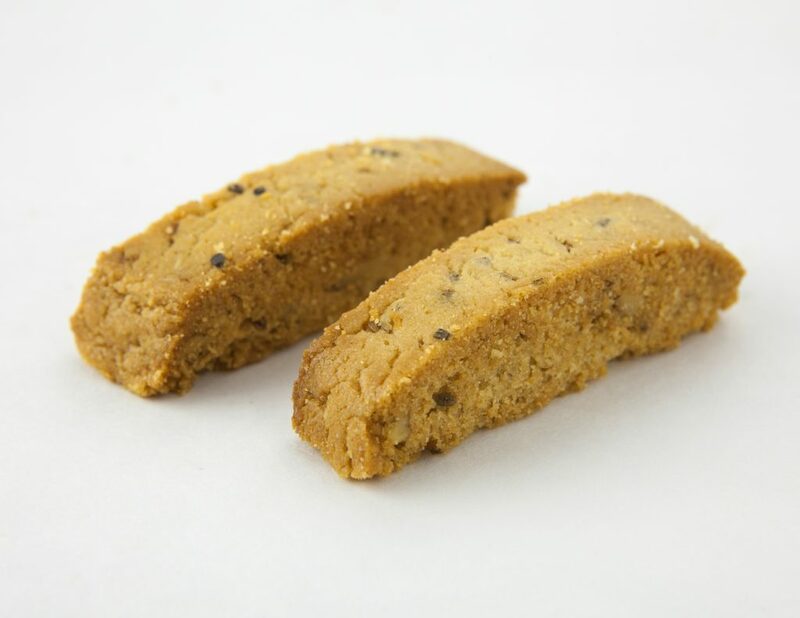 It has been referred to as being similar to biscotti or as a type of biscotti. 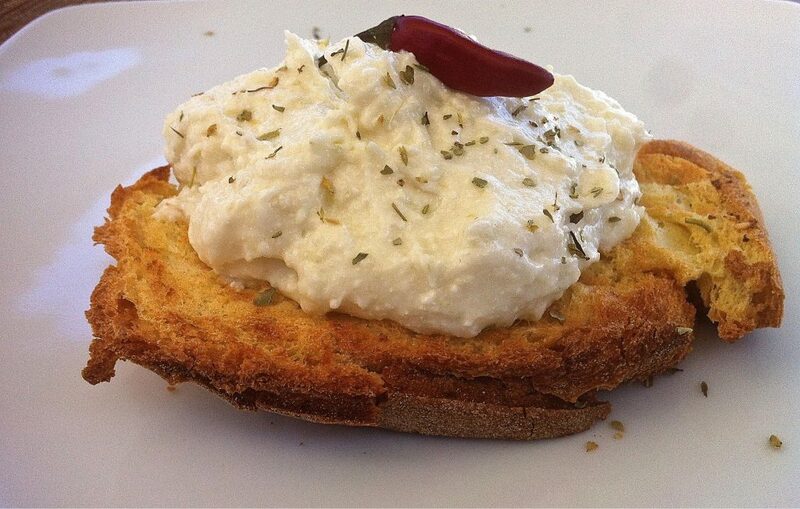 Paximathia is a common food in Greece and many Greek bakeries sell the bread, which is often served as a breakfast food with marmalade or cheese. 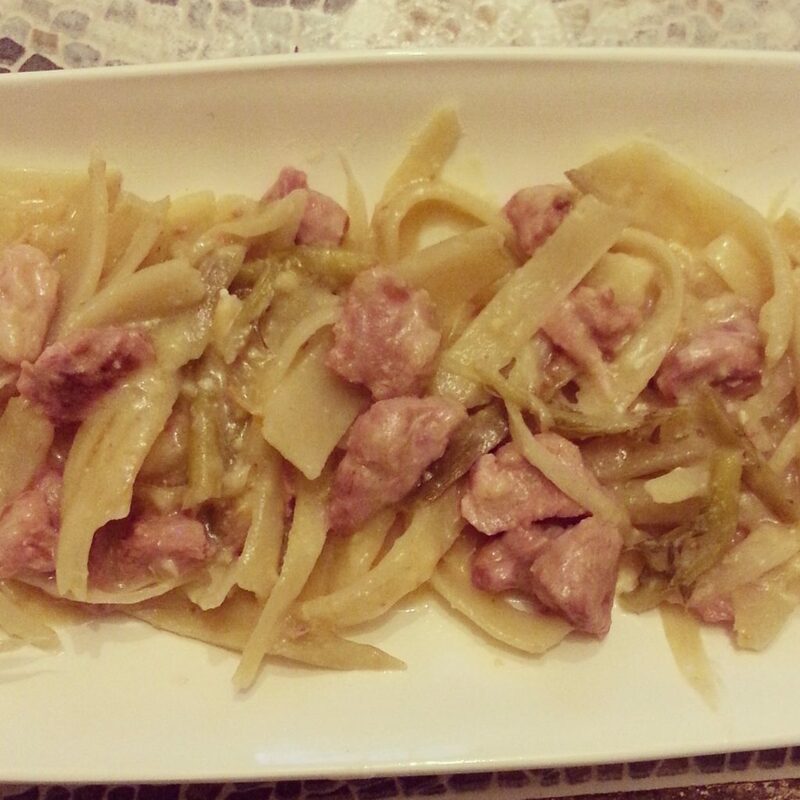 Blessed Thistle with Lamb is a dish common to the Aegean coast and Aegean sea islands among Turkish and Greek people. 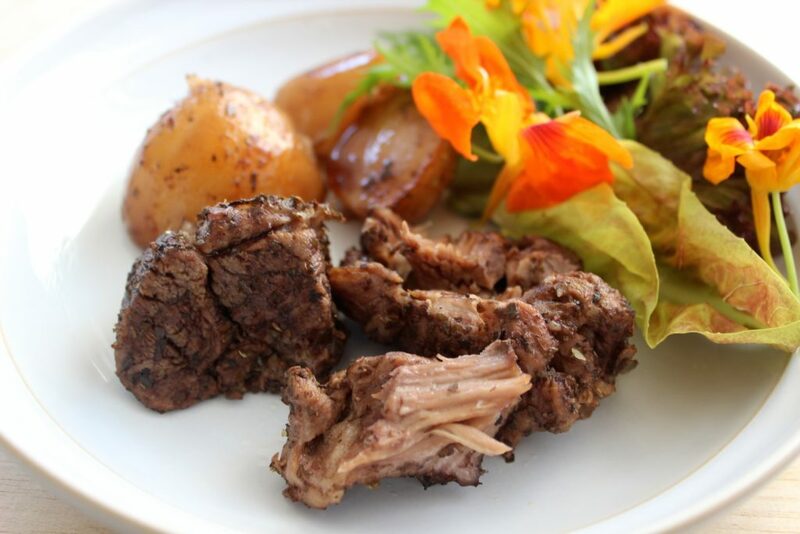 Ingredients include Blessed thistle, lamb chunks, onion, juice of half a lemon, flour, butter, and salt.